The meteoric rise of Google in just 13 years has revolutionized the Internet. But competitors are growing wary as the Silicon Valley icon, known for its “Don't Be Evil” motto, strengthens its dominance over online searching and advertising and rapidly expands into new areas. Up to 70 percent of online searches in the United States are conducted on Google, whose vast portfolio includes airline ticketing, comparison shopping, social networking and mobile-phone software. In addition, Google has proposed a $12.5 billion acquisition of Motorola Mobility, a major manufacturer of wireless phones and other electronic devices. 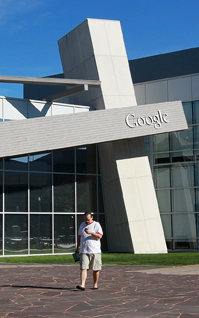 Critics portray Google as a monopoly that leverages its power in order to bully rivals. Google strongly denies the accusations and counters that alternatives are one click away. Now, regulators in the United States and abroad are examining whether Google has run afoul of antitrust laws and should be reined in.